NEW BANNED “Swamp Bud” colorway – Sludge top load stem and Budsaw sprocket available now! 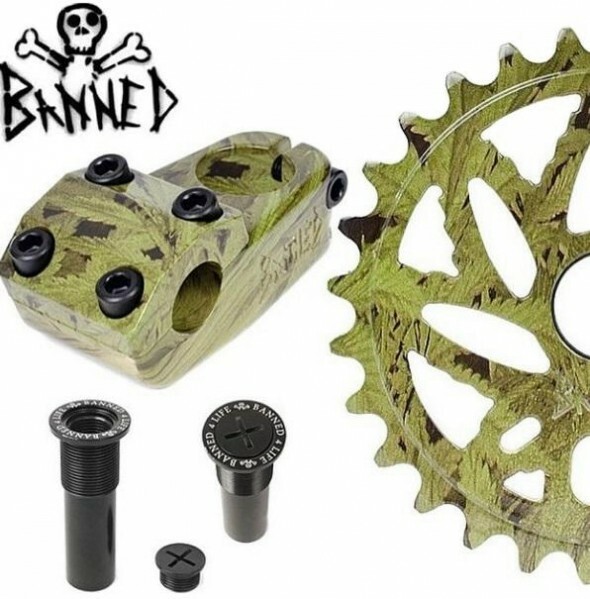 BANNED just released a new colorway called “Swamp Bud” for the “Sludge” top load stem (upper left) and Budsaw sprocket (lower right) which come in 25t and 28t sizes. In addition to these items the Banned Stash Cap (compression fork bolt stash compartment) now comes in black or polished silver, and comes in two sizes (lower left). Click HERE to view all the BANNED products we have in stock! « New Shadow Conspiracy KIL Tour 2015 t shirts are in stock!